A great addition to the Glendronach range. Like all other whiskies from this distillery this was initially matured in European oak before being tranferred for a final period in a small batch of Sauternes casks. This is one of the better cask finished we have tried recently, where everything seems to be in harmony. 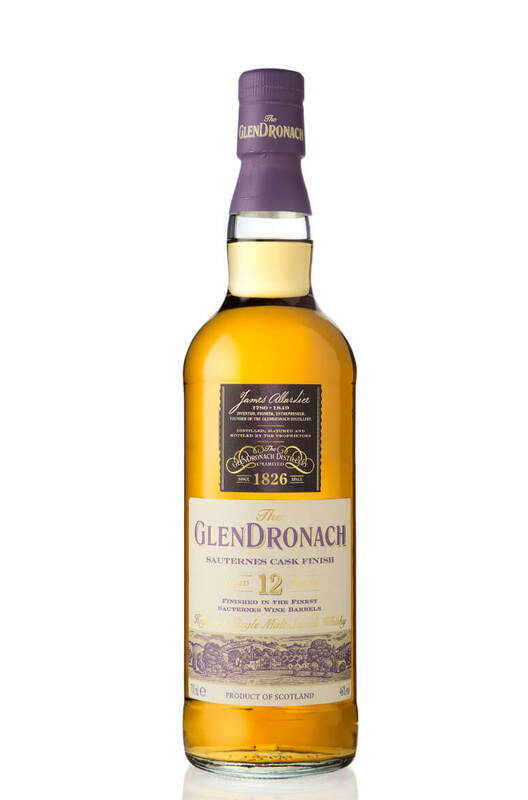 The existing malty/dried fruit flavours you would expect from Glendronach are well represented and enhanced by some juicy raisins,honey and dried apricot flavours from the Sauternes cask. There's also a good sprinkling of sooty smoke adding an extra layer of compleixty. Nose Lemon cake, crème caramel, dried apricots, cinnamon, honey and freshly baked brioche. Very polished with some enticing malty notes. Water brings out a lot more fruit with pineapple, tinned pears and apples coming through. Palate Sweet and fruity with a faint, sooty smokiness. Juicy and refreshing but also rich and full. Nicely rounded and polished with a gently spicy oak backbone. Displays flavours of lemon drizzle cake, pineapple turnover, honey, ginger snaps, and hot cross buns. Lingering smoke and spice on the finish adds some lovely complexity. Fantastic stuff. Types of Barrel used for Aging Initially matured in European oak then finished in Sauternes sweet wine casks. A new-ish expression of Glendronach that has been aged in a combination of ex-Bourbon and ex-Sherry ..
A limited edition cask finish edition of which only 3111 bottles were produced. Madeira and Glendron..